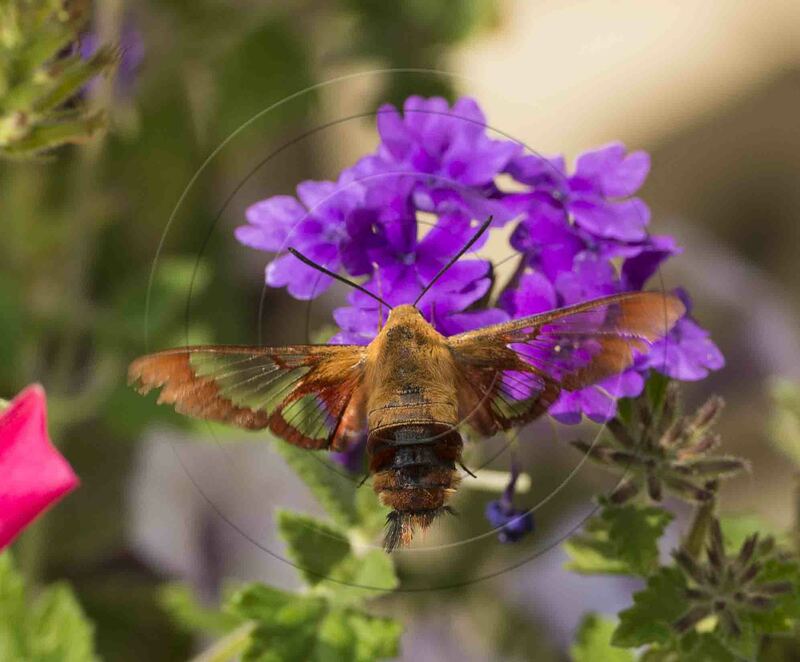 Hemaris thysbe, commonly known as the hummingbird clearwing, is a moth of the hawkmoth family. 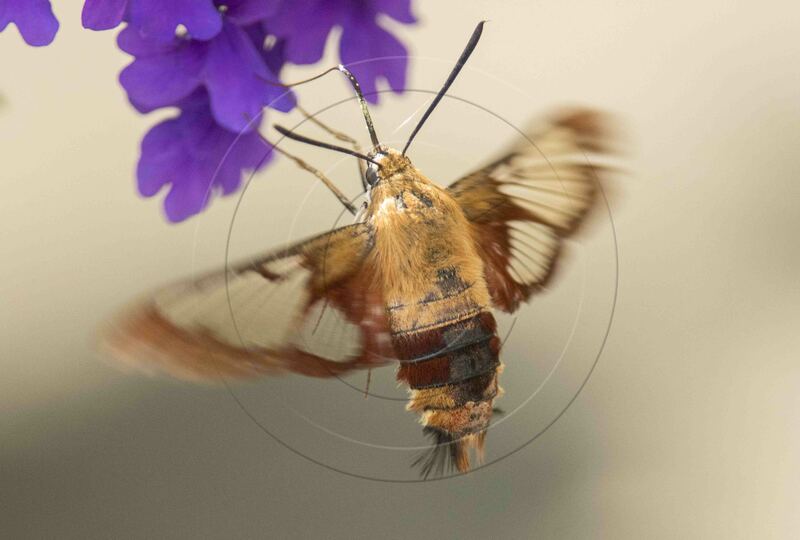 Coloration varies between individuals, but typically the moth is olive green and burgundy on its back, and white or yellow and burgundy on the underside. 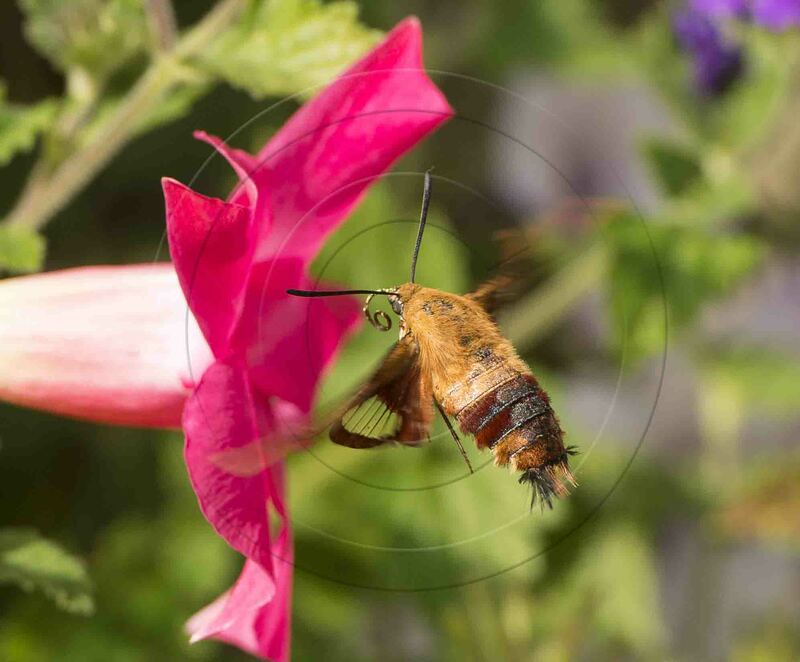 Its wings are transparent with a reddish-brown border. It has light-colored legs, which combined with the lack of striping on the underside is diagnostic. 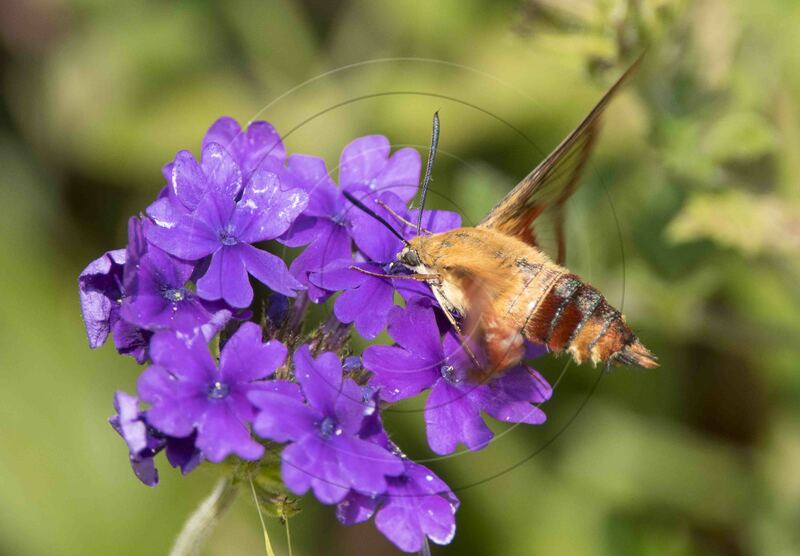 Beating its wings rapidly, H. thysbe hovers to collect nectar from a variety of flowers. The combination of its appearance, size and its behavior commonly leads to it being confused with a hummingbird or bumblee. The following images were shot during a recent visit to the extreme south of Ontario. This image clearly shows the transparency in the wings. This entry was posted in NATURE, TOURING. Bookmark the permalink.